While the overall ambition (grandeur and status-seeking) in French foreign policy has been surprisingly stable, different strategies and approaches have been adopted. 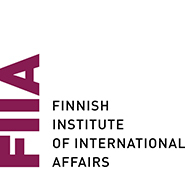 The French approach over the past 15 to 20 years has been to focus on status-seeking through legitimacy, and we have seen a gradual shift towards a French foreign policy that is increasingly guided by international law and multilateralism. 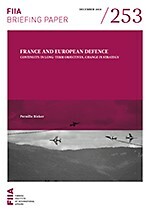 There are also elements of both continuity and change in French ambitions for European defence. While the long-term ambition is the same, the French approach towards European defence has changed from being concerned with developing the defence structures within the EU (“Europe de la defence”) to becoming more concerned with the need to strengthen the European capacity to act. Different types of French initiatives over the past decades – within or outside the European Union – must all be seen as ways of strengthening the European defence capacity: The French return to NATO’s International Military Staff in 2009, the French-British defence cooperation from 2010, the French-German initiative to set up the Permanent Structured Cooperation (PESCO), and the recent French initiative to launch a European Intervention Initiative (EI2).